Years ago I heard about a magical place in western Nebraska and since then have dreamed of visiting. What’s in western Nebraska, you ask? I mean, besides corn and more corn? 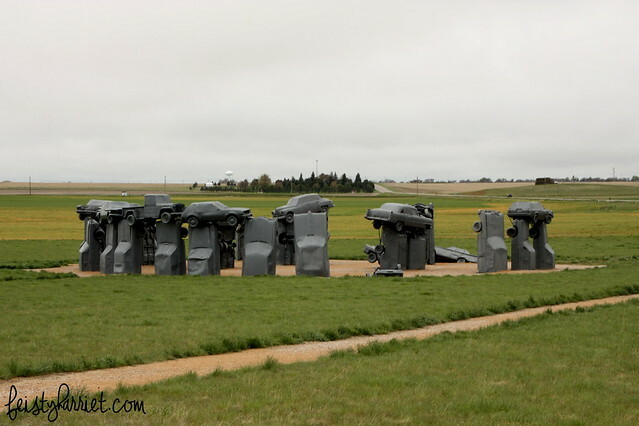 Stonehenge, but created by a (wacked out?) 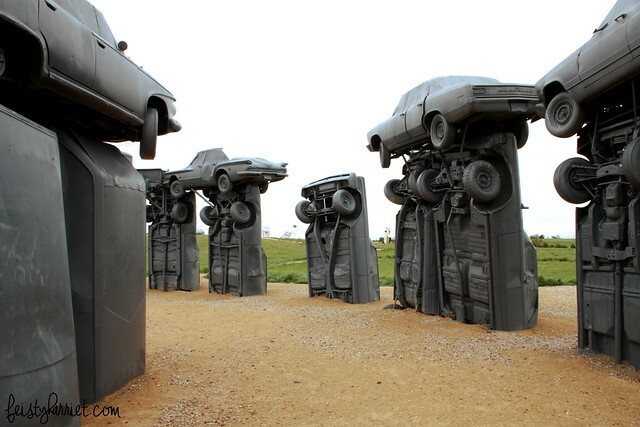 artist and not by ancient druids, and made with vintage American automobiles painted gray. Is it kitschy? Yes. Is it part of what makes the miles and miles of midwest highway pass more quickly? Yes. Did I absolutely love it? Yes. Completely. 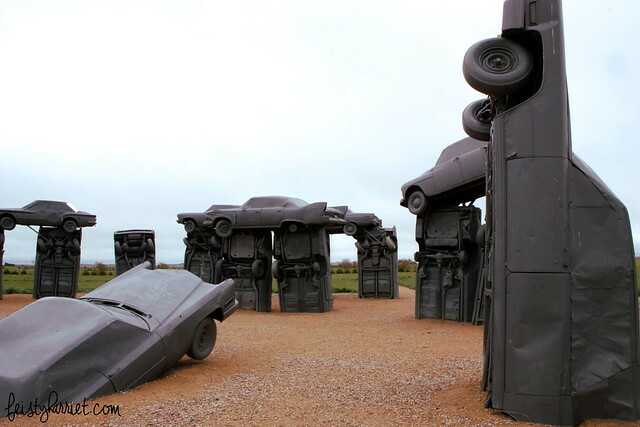 Carhenge is just outside Alliance, Nebraska; my friend T. and I didn’t spend a lot of time in town (we had some mostly decent Mexican food, camped in an RV park behind a motel, and bought breakfast at the little grocery store), but Carhenge was one of the highlights of our multi-state, 2,000 mile trip. 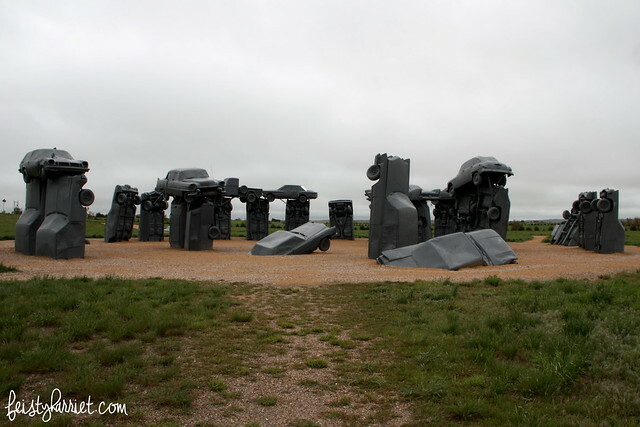 I did a little reading up on the artist, Jim Reinders, and his henge-y masterpiece is as close as he could replicate to the actual Stonehenge. Turns out vintage American automobiles are very nearly exactly the same size and shape as the hewn rock columns the druids used in ancient Britain. 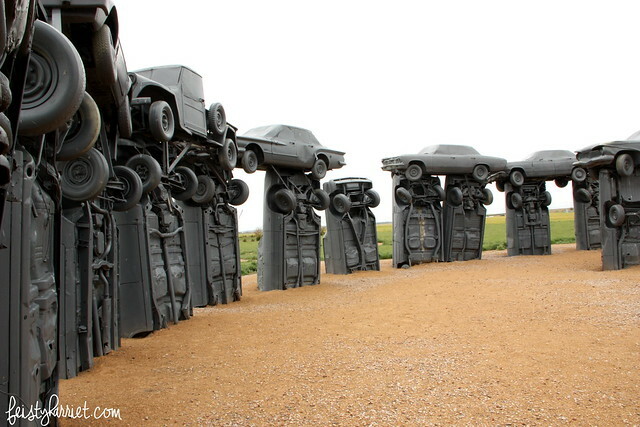 Other adventures in South Dakota coming soon; additional Carhenge photos here. 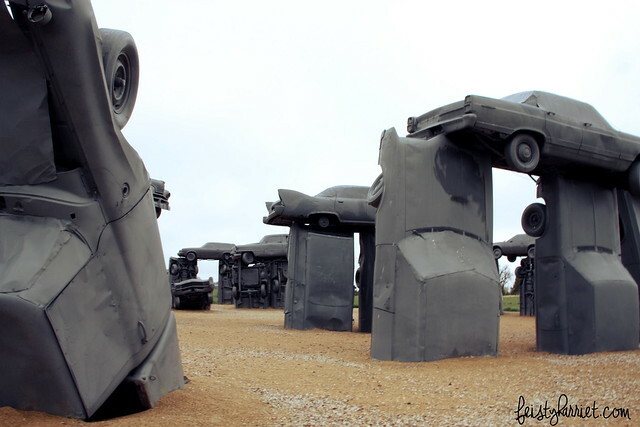 This entry was posted in Far Off Places, Nerdiness and tagged Alliance Nebraska, Carhenge, Cars, Midwest, Nebraska, Outdoor Sculpture, Sculpture, Stonehenge, Vintage Automobiles by Feisty Harriet. Bookmark the permalink. 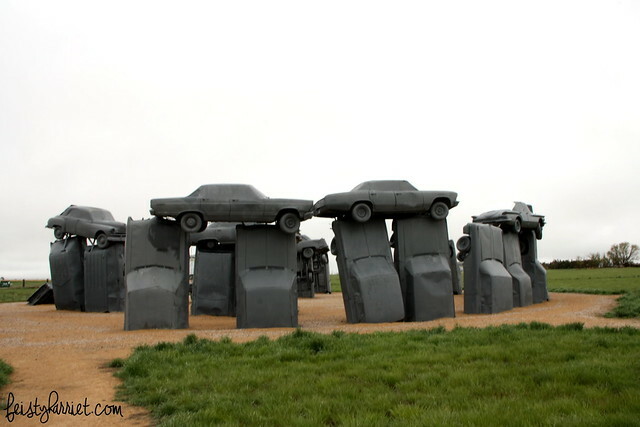 I honestly regret that I never made it out to Foamhenge, which is somewhere in southern or western Virginia. Care for another road trip? That is also on my list!! Of course, it’s a bit more of a drive, but I’d love to see it! Woaw, what a cool installation! It’s been there forever, such a cool place!